"If they don't have the money to restore it, they should sell the building to someone who would love the building the way it should be loved." Now there's a preservationist's rally cry if ever we've heard one! 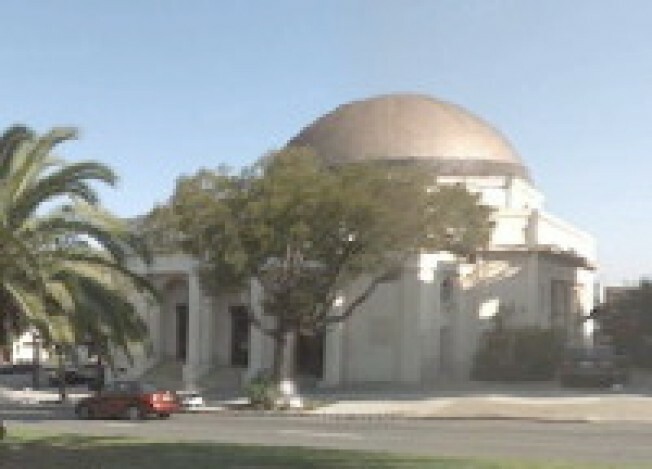 On group is taking such a stance on the dome-top Second Church of Christ, Scientist, at 651 Dolores Street, overlooking Dolores Park. The 92 year-old church has been deemed earthquake-unfit, and the city has ruled that it must go— barring a $2.5 million renovation. Which, despite the church's 1,000 seats, is well beyond its membership (a number that hovers at a paltry 50 these days). So they've more or less given up on saving the thing, and plan to tear down the building in favor of a smaller church flanked by two condo complexes that would fund the construction of the new structure. Naturally, preservationists are horrified. The church, they say, is key to getting the neighborhood designated a national historic district. The issue goes to the Landmarks Preservation Advisory Committee on Wednesday for some proper justice.